Whenever a certain cohort of conservative Iranian lawmakers feels frustrated with Western duplicity, arrogance, and bullying over Iran's nuclear program - usually due to patronizing demands made during negotiations, threats of new sanctions, or following the release of a biased IAEA report - they tend to do one of two things: they either suggest that Iran may pull out of the Nuclear Non-Proliferation Treaty (NPT) or they claim to be mulling the introduction of a bill requiring Iran to expand its uranium enrichment levels beyond what is necessary for a civilian energy and research program. Some members of the Iranian parliament, known as the Majlis, have once again made the higher enrichment threat. As usual, this is all sound and fury, signifying nothing. The Majlis has no say over such decisions - which would be made exclusively by Iran's leader Ayatollah Ali Khamenei - so this is all just rhetoric. On Sunday, January 25, 2015, Iran's English-language news outlet PressTV reported that Seyyed Hossein Naqavi Hosseini, spokesman for the Majlis' National Security and Foreign Policy Committee, told reporters that lawmakers were "working on a motion under which the government would be obliged to step up uranium enrichment utilizing new-generation centrifuges," a move made "in reaction to recent announcements by US lawmakers that Congress mulls more sanctions against the Islamic Republic." Hosseini has a history of exaggeration, to say the least. For instance, last March, he claimed that the missing Malaysia Airlines Flight 370 (which had two Iranian citizens aboard) had actually been "kidnapped" by the United States in a dastardly attempt to "sabotage the relationship between Iran and China and South East Asia." Furthermore, according to Hosseini, PressTV reported, "the Iranian parliament has another motion which will require the government to produce 60-percent enriched uranium in case the US Congress goes ahead with plans to impede the ongoing nuclear negotiations." This claim was repeated by another committee member, Mohammad Hassan Asafari, during an radio interview. Asafari said these higher levels of enrichment would be triggered if any members of the P5+1 tried to "impose fresh sanctions" or is "reluctant to lift the previous sanctions." This past September, we heard the same threat from the same source. So, which "MP" was making such a statement? None other than Mr. Asafari. A year ago, on January 12, 2014, Asafari told the press effectively the same exact thing. "The Iranian nation will not bow to pressure and bullying," Asafari said, adding that "if the US Congress passes new sanctions against the Islamic Republic of Iran, [the] Majlis will move to accelerate the ratification of the bill obliging the government to produce 60 percent enriched uranium." Within a couple weeks, Iranian political analysts were already denying that such a bill would ever actually pass, let alone be enforced. 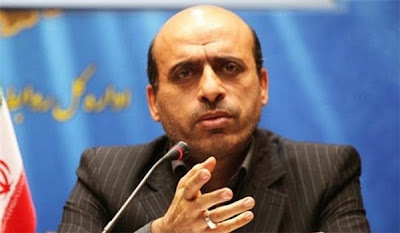 Back in October 2012, Mansour Haqiqatpour, deputy head of the Foreign Policy and National Security Committee spearheaded the 60 percent enrichment initiative. "In case our talks with the P5+1 group... fail to pay off, Iranian youth will master enrichment up to 60 percent to fuel submarines and ocean-going ships," Haqiqatpour said. "If these talks continue into next year," he continued, "Iran cannot guarantee it would keep its enrichment limited to 20 percent. This enrichment is likely to increase to 40 or 50 percent." Obviously, this was an idle - and largely nonsensical - threat. Nevertheless, we'll keep hearing this type of thing from legislators who like to act tough and hear themselves talk. Ignore them. Ignore news reports and partisan commentary taking them seriously. Diplomacy is a slog, but it's working. Within six months, there will be a deal. Bluster like this, from all sides, will continue well after the ink is dry. Brush it aside. Relax.